Wild fennel, finocchio selvatico, is a hardy biennial or perennial plant with feathery leaves and crowns of yellow flowers with pollen and crowns of fennel seeds as shown in the photo above. It tends to grow in sandy soil along the shores of the Mediterranean Sea, seacoasts, river beds, and plains. 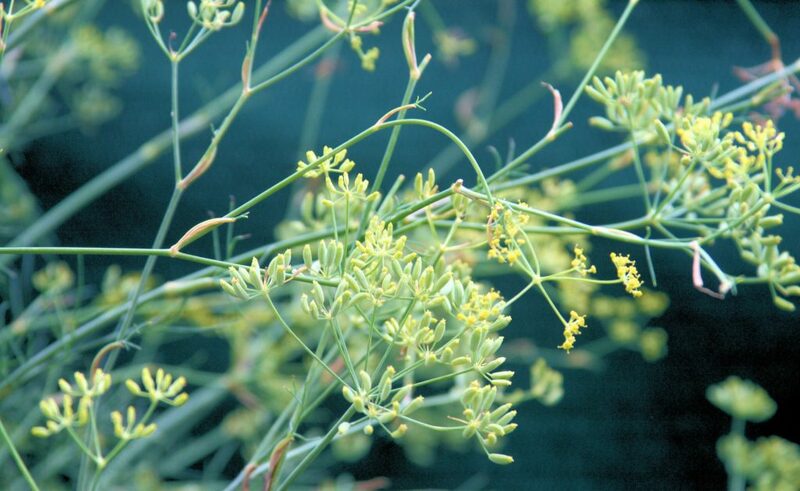 Wild fennel loves sunny, arid, or rocky environments. 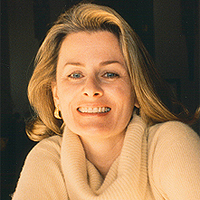 It adapted well to many countries outside of Italy, and grows prolifically in parts of the US. It is an easy plant to cultivate in gardens, adapts well to cold weather, and loves intense sun and heat. 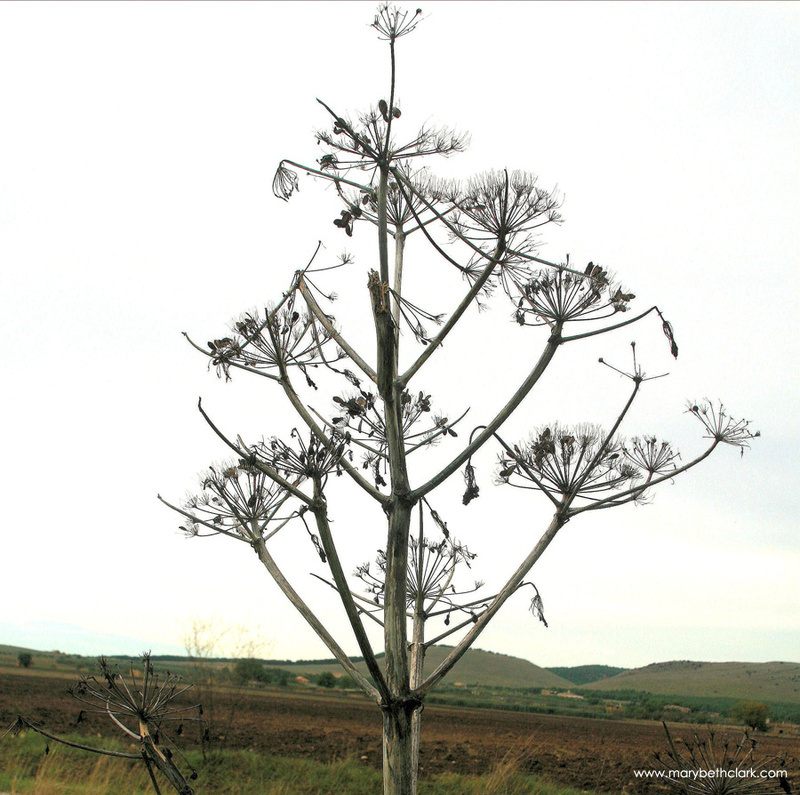 When other plants wilt, wild fennel happily thrives. Self-propagating, a small plant produces flowers and seeds in its second year. Common and regional names for wild fennel include finocchiella, finocchietto, and finocchio asinino. Wild fennel grows very tall, 6 feet (1.8 meters) or more. Wild fennel is very different from cultivated fresh fennel bulb purchased at the market and served as a vegetable. With hollow stems and under-developed bulbs, the wild plant first produces feathery fronds during its first year and for a few months into its second year. In late Spring, the plant bursts into bloom with crowns of yellow flowers. These flowers, called fennel pollen, are harvested. Delicate in anise flavor with light, fluffy texture, they are the most expensive part of the plant since little pollen is collected from each plant. After several weeks of blooming, the plant reduces blossom production, and increases seed production. 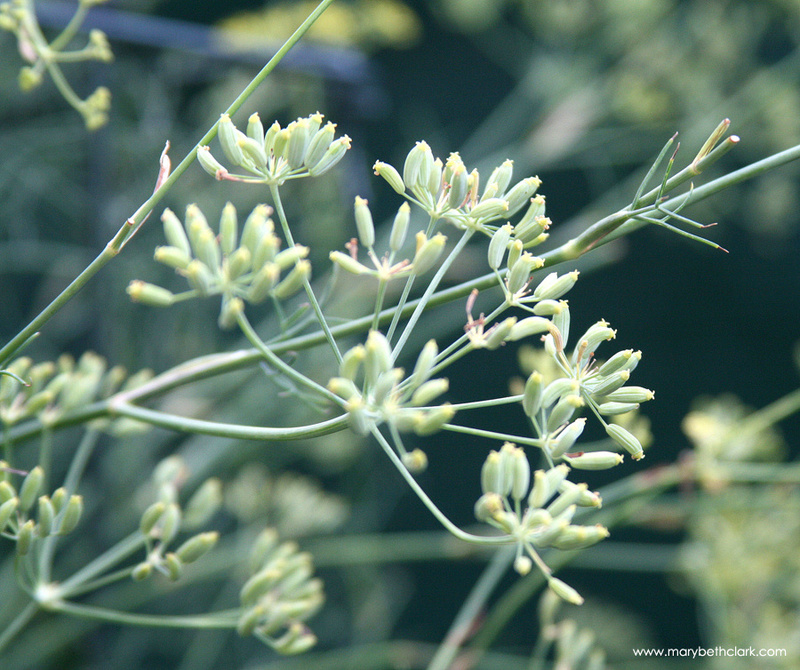 For a period of a few weeks, the plant produces both crowns of flowers and crowns of green immature seeds on separate stems as it transitions to only producing thousands of wild fennel seeds. As the seeds mature and dry out, their stems turn from forest green to jade green to yellow-green to straw yellow. Harvest seeds anytime. The immature green seeds have a fresh anise taste while the dried, brown seeds imbue intensity in any dish they touch. Wild fennel seeds possess a pungency beyond that of ordinary fennel seeds. Driving through the Italian countryside during late autumn through winter, you’ll see stark blackened stick-figures of dried wild fennel, often with crowns and seeds still attached, as shown in the photo on the right, taken during February in Puglia. Traditions: Fennel has been favored as a medicinal plant for millennia as well as recommended for cooking, baking, preserving, and making beverages. Hippocrates recommended ingesting fennel to promote the flow of breast milk, an application still appreciated today. Ancient Greeks ingested fennel to slim-down and use as a diuretic. Ancient Romans used fennel seeds to flavor bread, legumes, and vegetables. Mixed with other herbs, spices, and flowers, fennel seeds also were used to flavor wine. Ground fennel leaves were immersed vinegar; this tonic was effective against scorpion bites. Many herbalists believed in fennel’s strengthening effects on eyesight. 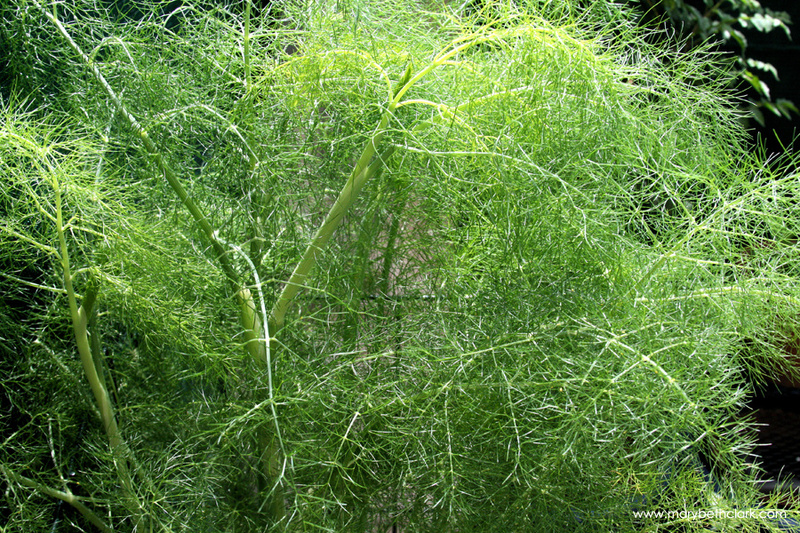 Famous for his herb and vegetable gardens, Charlemagne dictated that fennel be grown on his estate. Grown in monastery gardens, it was used for cooking and infusing beverages. Applications: Famous as an effective carminative, fennel is known for soothing the stomach, and is given to babies and children suffering from colic. It is known for controlling nausea, and promoting good digestion. If you feel a bit uneasy or tense, or your stomach is a bit jumpy, pop a fennel seed into your mouth and leave it there for awhile. Allow its essentail oil and energy to work their magic. You will feel calmer within seconds to minutes. Even plucking a crown of seeds off the stalks releases its highly-aromatic nature and is an almost-immediate calmant. Excellent for digestive problems, make an infusion in water and combine it with honey. Drink it as a diuretic or antispasmodic. Chewed at the end of meal, fennel seeds are known for quickly cleansing the palate and breath, and are great for aiding digestion after a full meal. Powdered dried fennel is recommended to drive away fleas, so it is sprinkled in stables and kennels. Chinese Medicine: The fennel plant is considered warm and pungent. 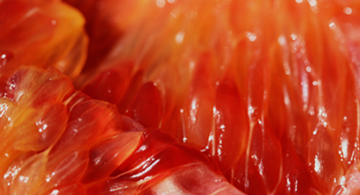 It is an aromatic digestive and carminative, beneficial for the intestines and aiding the nervous system. Chinese herbalists believe fennel travels quickly throughout the human body; therefore, it can warm the internal region quickly and promote energy circulation. Often the seeds are combined with 1 or 2 other ingredients then consumed to relieve pain in a specific part of the body or internal organ. When the seeds are ground into a powder along with black peppercorns, then dissolved in rice wine, it relieves small intestine pain; do the same with litchi seeds for hernias. When preparing food, season it with fennel and ginger to heal a cold stomache and abdominal pain. Fennel Essential Oil: This oil plays an important part in treating and rehabilitating patients with alcohol poisoning. Avoid using on young children, during pregnancy, and if epileptic. Culinary Uses: All parts of the plant are quite desirable and used in cooking, baking, preserving, and blending into beverages. Use the fronds as an herb and immature and mature seeds as a spice. The intensely-colored yellow flowers with their dellicate pollen and the brittle cane-like stalks are in their own category but can be used as either herb or spice to flavor dishes. In general, wild fennel is particularly well-suited to fish, rabbit, lamb, pork, breads, chestnuts, fruits, and figs. Cultivated fennel produces a large, fleshy bulb that is the inflated leaf base mostly prepared as a vegetable dish, condiment, soup, or sauce. The cuisines of Italy, France, India, Pakistan, Afghanistan, Iran, and other Middle Eastern countries, offer wonderful fennel dishes as a continuing part of their cultures. The fresh frothy fronds can be chopped finely and used as an herbal condiment for pasta, fish, pork, lamb, and sauce. 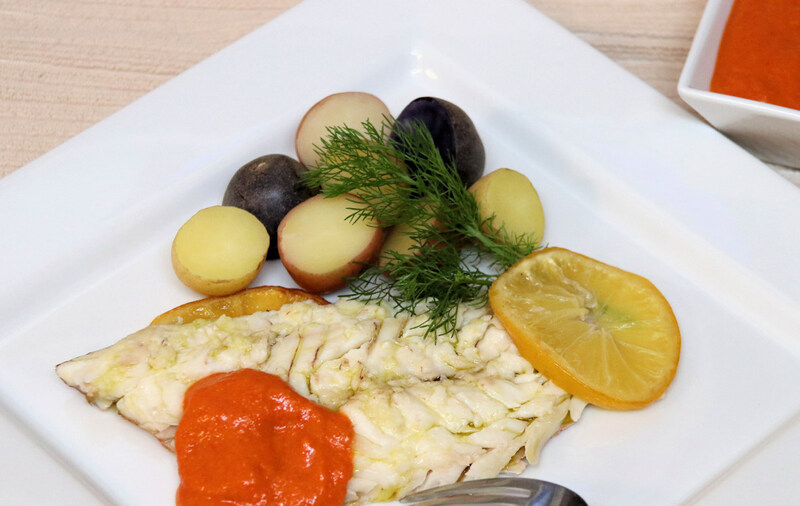 The brittle hard branches and stalks of wild fennel are used on the grill to impart a mild fennel aroma and taste to ingredients, especially fish and poultry. 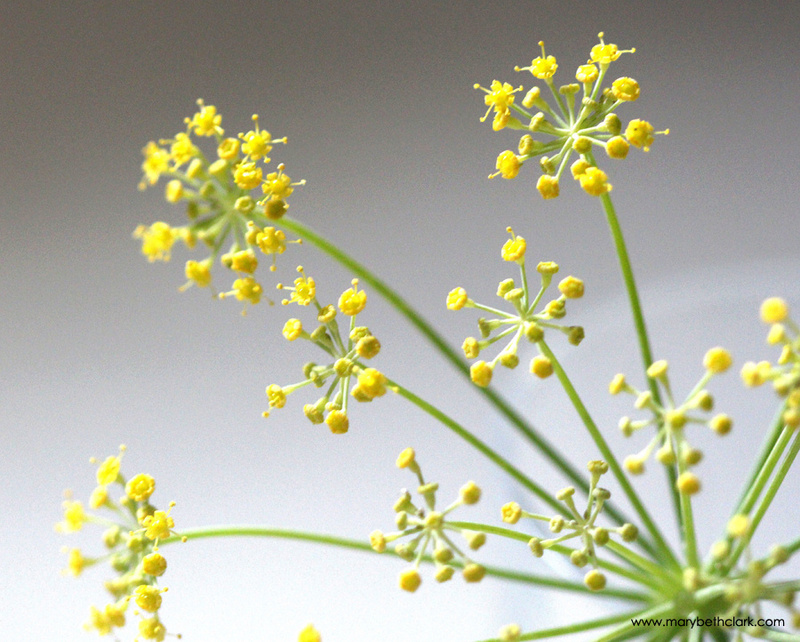 Its yellow crown of flowers is often referred to as fennel pollen. Its delicacy enhances meat, poultry, and fish dishes. Fennel seeds are highly aromatic due to a high level of essential oils. 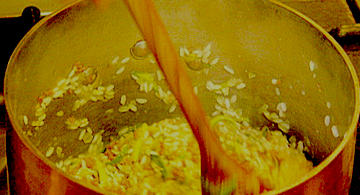 Seeds are used as flavoring for roast pork and suckling pig, and in fresh sausage as well as in the curing of meats, salame, and sausage. Make a fennel liqueur with the seeds, alcohol, cinnamon stick, granulated sugar, and water.